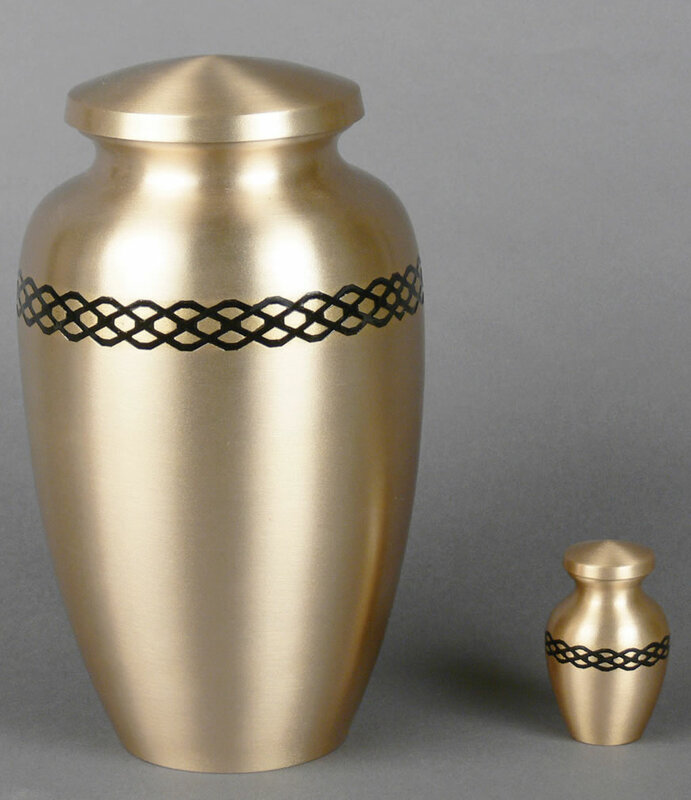 The Empress Brass Cremation Urn has distinctive intertwined black lines encircling the broadest portion of the urn. This style is available as a large urn and keepsake. Click on the Related Products on this page to order the keepsake. Optional personalized laser engraving is available only on the LARGE URN for an additional fee. Keepsakes cannot be engraved. Engraving can be oxidized (blackened) to stand out more, or left non-oxidized. See examples of oxidized and non-oxidized engraving by clicking on the small photos below the large photo of the urn. Click on the small print below the large photo of the urn to view examples of the different engraving fonts. 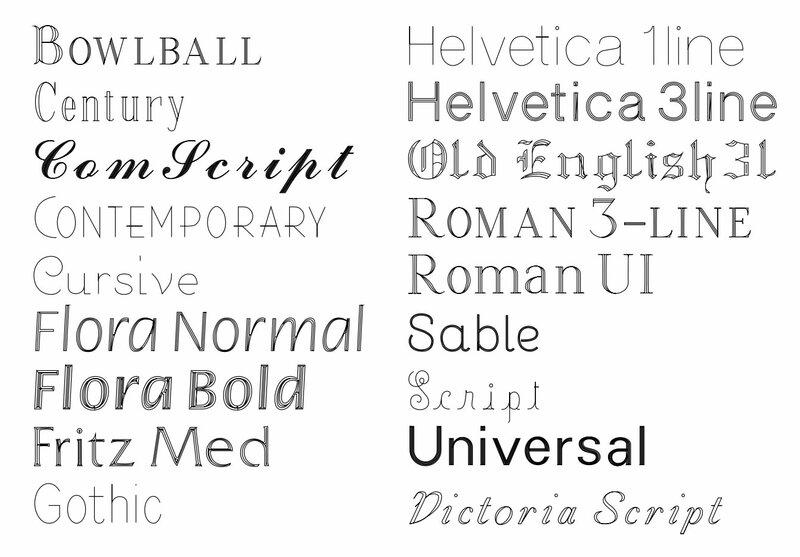 Please limit engraving to no more than 30 characters (any letter, number, blank space, or punctuation) per line. An engraving proof will be emailed for your approval prior to the urn being engraved. Please allow one business day after proof approval has been received before urn ships. Non-engraved urns usually ships same business day if order is placed by 11:00am Eastern Time. Ships from the East Coast.